The french capital has so many amazing monuments that sometimes, it is quite difficult to choose what to see during a stay. 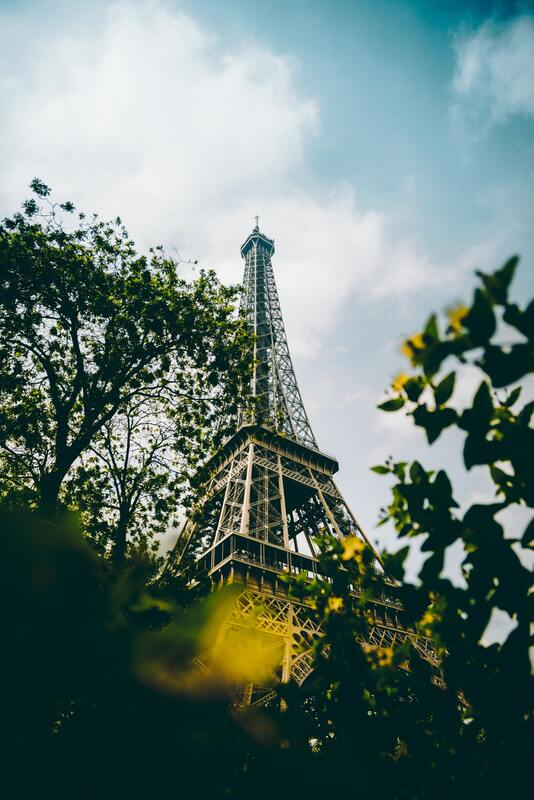 So, for your next trip in Paris, here are seven emblematic monuments that are among the most impressive of the town and that you definitely should know. In the heart of the Île de la Cité, you must visit the magnificent Gothic halls of the first residence of the kings of France, built in the l4th century by Philippe le Bel (Philip the Fair). Partially converted into a prison in the l5th century, the Conciergerie takes you back to the revolutionary period through its prison cells, including that of Marie-Antoinette. A jewel of High Gothic architecture, the Sainte-Chapelle was built in the 13th century by Louis IX, the future Saint Louis, to house the relics of the Passion of the Christ. You can admire the unique set of stained-glass windows that form a genuine illuminated Bible and be dazzled by the delicacy of its sculpted decoration. A masterpiece of Gothic architecture, the construction of Notre-Dame began in the 12th century and took 200 years. By going up to see the towers and the legendary great bell, you will be following in the footsteps of Victor Hugo’s characters among the strange gargoyles. At the top of the south tower, a fabulous panorama over Paris awaits you. Construction of the Arc de Triomphe began in 1806, at the behest of Napoleon I, in honour of the Grande Armée and was completed under Louis Philippe. Taking its inspiration from the arches of Ancient Rome, it bears the illustrious names of the history of France and sculpted reliefs. From its platform roof, at a height of over 50 metres, you can admire one of the ﬁnest views of Paris and its famous avenue, the Champs-Elysées. In the centre of the Latin Quarter, near the Luxembourg gardens, stands the Pantheon. A church until 1791, it was transformed into a Republican temple to honour the memory of the nation’s illustrious figures:Voltaire, Rousseau, Zola, Dumas, Hugo or Pierre and Marie Curie. Since the 7th century, the destiny of the Basilica of Saint-Denis has been intertwined with that of royalty as it came to be the place of burial for the kings of France. It houses over 70 sculpted tombs, including those of Dagobert, François I, Catherine de Medici and Louis XVI. Designed by Abbot Suger, it has been considered since 1144 as one of the principle masterpieces of Gothic art. The dungeon of the château deVincennes is the last surviving example of a medieval royal residence. It was completed by Charles V in 1365, and standing 50 metres high dominates the South East of Paris. The visitors’ circuit brings out the originality of the architecture, the rich sculptural detail as desired by Charles V as ell as celebrating the memory of the famous prisoners held there such as the Marquis de Sade. The recently restored Sainte Chapelle has several sculptural elements of remarkable quality.